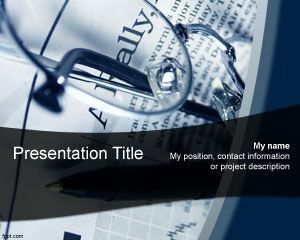 Economics News PowerPoint template is a free economics PowerPoint background template for presentations on economics news. This free economics news PPT template for PowerPoint can be used by economists but also for financial people who is needing a PowerPoint presentation template on economic news. Download free economics PPT templates for Power Point compatible with Microsoft PowerPoint 2007 and 2010.